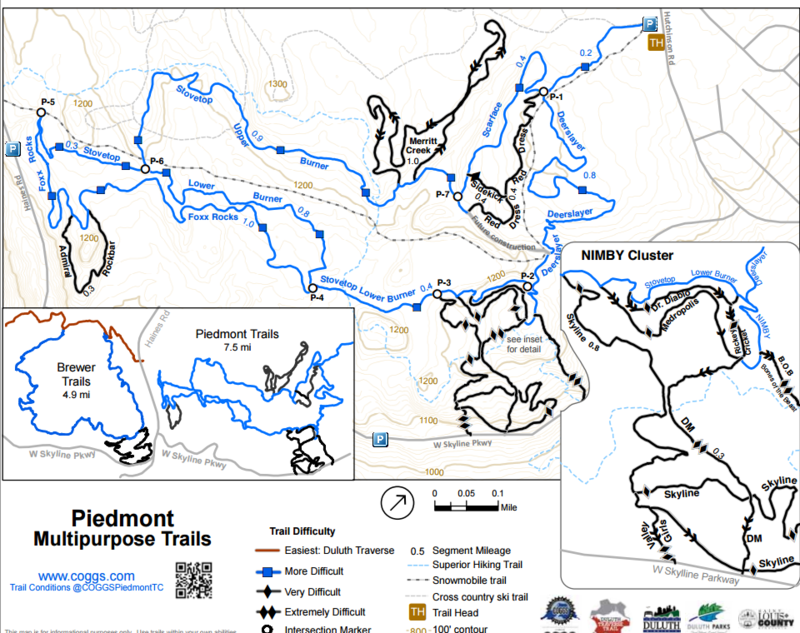 I’d heard rumors earlier this year that one of Piedmont’s X segments, Admiral Rockbar, was extended recently to include some rock drops and a long rocky uphill. 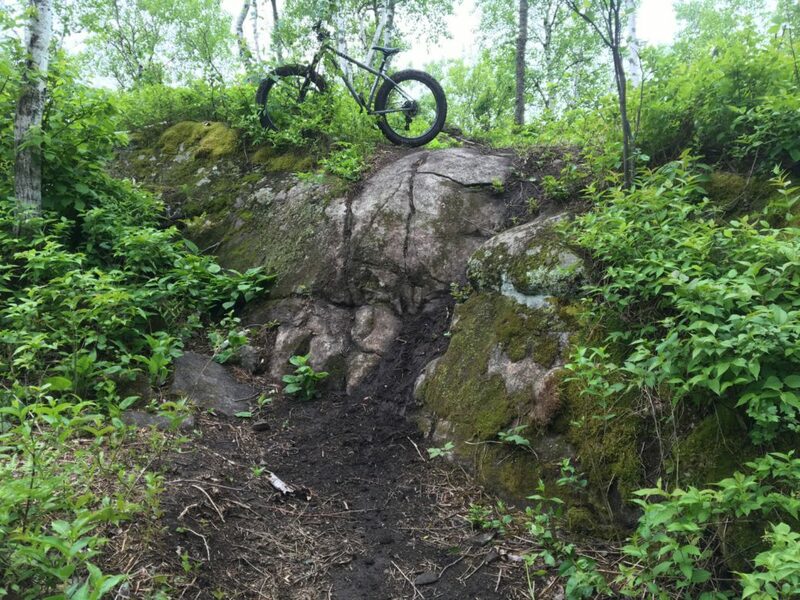 I was at Spirit Mountain last weekend for the PMBI Level 1 instructor course (more on that to come) and I was eager to ride Rockbar before I left town. I saw COGGS Board Member and Ride Coordinator Dave Cizmas there and when I asked him about it, he told me he’d helped on the planning and route selection for the extension and that he’d managed to clean the uphill once. I was even more intrigued. 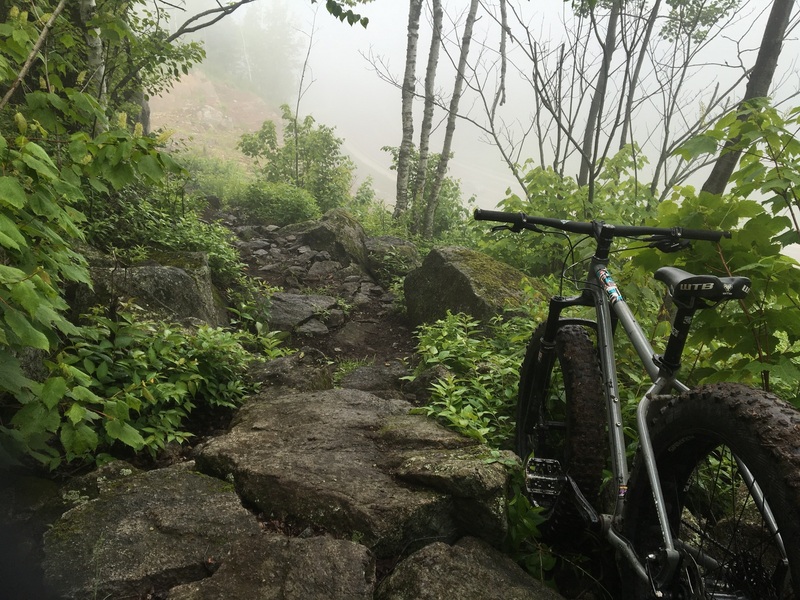 But with the heavy rain on Sunday, all COGGS trails were still closed. on Tuesday morning. I texted Dave and he said he thought Rockbar would be fine to ride, as long as I didn’t ride anything else at Piedmont. When I saw COGGS Board Member/Fundraising Coordinator Pam Schmitt at Duluth Coffee Company on Tuesday morning she ‘deputized’ me to go have a look at it since other COGGS crew members were unavailable to check it out. I felt honored. A reconnaissance mission! I parked in the small lot along Haines Rd where there’s quick access to the Admiral Rockbar segment without having to ride the other portions of Piedmont that were too wet to ride. 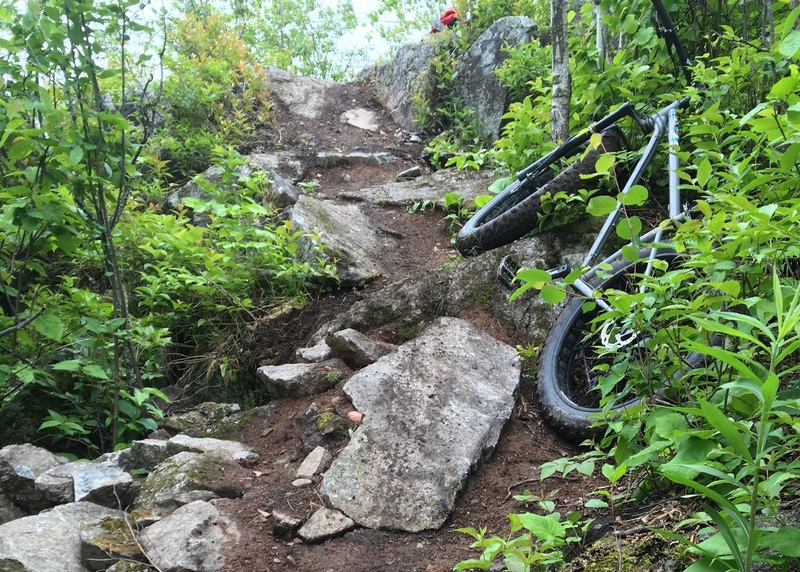 The dirt portions of Rockbar were damp but hard-packed. The rocks were somewhat slippery from the mist and heavy fog. I sent Pam a text that I thought Admiral was fine to ride. No cajones? Not so much in the spring. More so in late fall when I have all winter to heal.